Londonderry currently has two home improvement stores. Both located near Route 102, the stores offer quality products, helpful advice, and great service. Stop by one of these stores today for all home improvement and yard work needs. Since 1913, Benson’s Lumber and Hardware has been providing superior value and products to its customers. George Washington Benson began this company with the simple vision of offering lumber and coal to the people in the community and surrounding towns. Now, three generations and almost 100 years later, the Benson family continues his vision. With the shared purpose of working hard in an atmosphere of mutual respect and trust, the Benson’s staff are knowledgeable, experienced, and provide excellent customer service. Most of the staff have been long-time employees, some working at Benson’s for more than a decade. Their experience allows staff members to answer a customer’s questions quickly and accurately. While Benson’s products have changed over the years, they’ve always carried quality brand names and products. Brands such as Makita, DeWalt, Milwaukee, and Black & Decker, and products like drills, saws, cordless tools, and compressors can be found at Benson’s. Doors, windows, skylights, millwork, tractors, lawn mowers, generators, roofing, decking, siding, lawn care, garden accents, grills, masonry and so much more can be purchased from Benson’s. Benson’s also offers a number of services and guarantees. A complete nursery and landscape yard can be found on-site. Lock re-keying and master keying is provided. 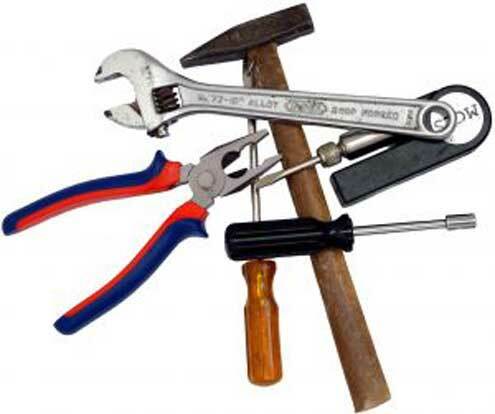 On-site power equipment repair, which includes pick-up and delivery, is available. Color match paint services, a kitchen design and installation team, and a floor design and installation team are some more services found at the local store. Guarantees include price protection, 48 hour delivery, and a 24 hour backorder fulfillment commitment. Londonderry’s Benson is located on Orchard View Drive. To learn more about Benson’s, be sure to visit their website. Home Depot began in 1978 when Bernie Marcus and Arthur Blank envisioned a store where do-it-yourselfers could shop for everything they would need in one place. With the help of Ken Langone, an investment banker, and Pat Farrah, a “merchandising guru”, the team was able to open their first store in Atlanta, Georgia. On June 22, 1979, Home Depot opened its doors. Shelves were stocked with over 25,000 SKUs, much more than any other hardware store at the time, and empty boxes acted as fillers, making the store looked like it offered more than it really did. Home Depot grew fast, with their 100th store opening just 10 years after their first in 1989. By 1994, Home Depot crossed the border to Canada when they opened Aikenhead’s Home Improvement. Moving into Mexico in 2001, they celebrated the opening of Total HOME. In China, in 2006, they opened their 12 store chain, Home Way. Currently, they own 1,972 stores in the United States (including Puerto Rico and the Virgin Islands), Canada, China, and Mexico. Name brand products available include Ryobi tools, RIDGID tools, LG appliances and Cub Cadet and Toro lawn equipment. With more than 40,000 different products offered throughout each store, Home Depot offers more than just materials for the serious do-it-yourself-ers. They provide access to pre-screened independent contractors for projects ranging from roofs and floors to windows. They allow qualified professionals to access services and support through loyalty programs, volume discounts, and direct ship and credit programs. Home Depot offers clinics every Saturday and Sunday, at every store, for those interested in learning how to do home improvement projects ranging from drywall repair to closet organization. Kids Workshops are also offered on the first Saturday of every month, at every Home Depot location. 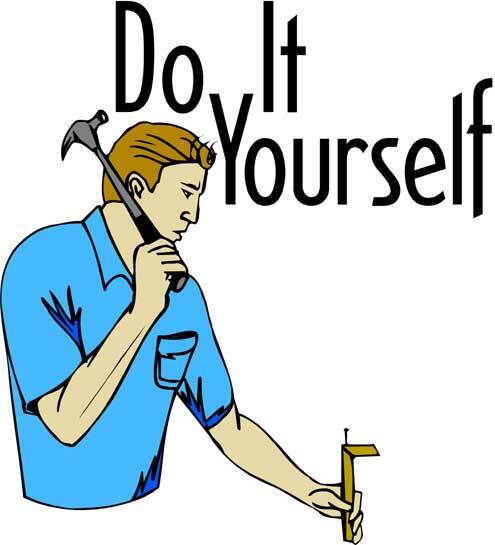 These workshops are for children aged 5 to 12 and provide knowledge on tool safety, as well as the esteem to complete a do-it-yourself project. Kids will build items like toolboxes, window birdhouses, and firetrucks. Both the Kids Workshops and the How-To Clinics are free. After a three year process of planning and discussions, Home Depot was able to open it’s door in Londonderry, New Hampshire. Several heated debates took place on topics such as the color of the roof, the affect the store would have on traffic flow on Route 102, and whether Home Depot should be allowed to store products and equipment in an outdoor garden area, as it had in so many of its other locations. The color of every roof of Home Depot store had been orange in the past. The Home Depot in Londonderry was the first to ever be allowed to have a green roof. 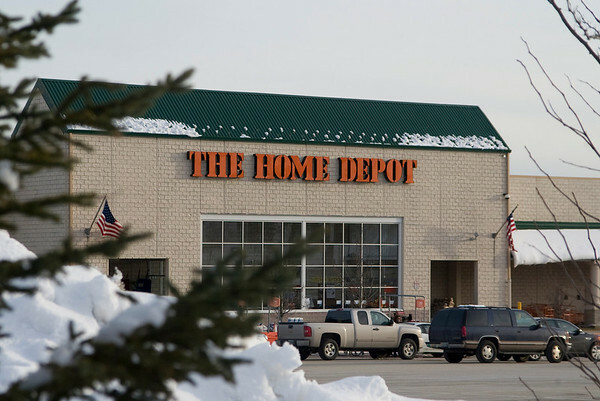 Home Depot’s attorney was fighting to allow products and equipment to be stored outside, while Londonderry Officials were strongly against it. After one of the Officials photographed five or six different Home Depots that were not allowed to store outdoors, it was determined that every piece of equipment must remain under the roof line. For three to four months, the topic of the intersections on Route 102 was debated. When discussions were complete, the intersections were redone to help with the flow of traffic. By the time the Town Officials and Home Depot were in agreement, Home Depot no longer was looking at only what was good for their company. They started to see what was also good for the community of Londonderry, as well. In 2003, Home Depot opened on the corner of Route 102 and Gilcreast Road. While the average Home Depot building was 105,00 square feet, the one in Londonderry measured 114,814 square feet. Following the long process of approvals for this site the Town of Londonderry and the Planning Board has streamlined approvals without sacrificing quality construction and design requirements. Projects proposed in Londonderry now take considerably less time from concept to site plan approval. For more information about the products The Home Depot offers, a list of dates for any of the workshops, or to shop online, visit The Home Depot website. Browse this map for detailed directions to both stores.